2. Start playing it as a result. But, man, Critical Role is a great show. It made me realize that listening to a D&D game (especially one as well done as Critical Role) is essentially the same as listening to an audio book. I love the stuff that you can find on Twitch. 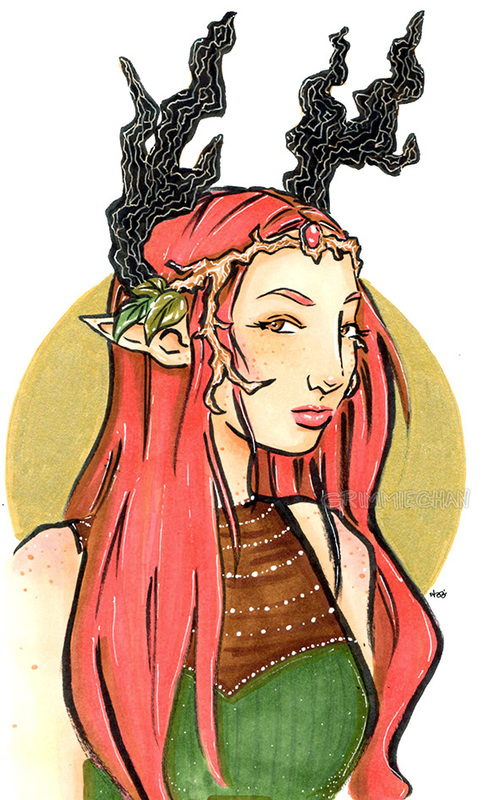 Marisha Ray‘s character, Keyleth, seemed like such a perfect fit for a drawing. She was a lot of fun, too!